Find out more about PokerStars’ new sports betting section. 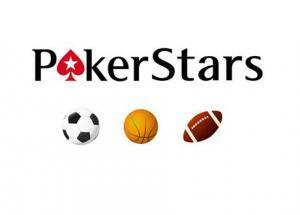 Sports and poker fanatics will be off to a great start of the year 2015 with PokerStars! Indeed, the famous poker operator announced that it would release its new sport gaming platform earlier than expected. All the fans will be able to play and bet on various different sporting events directly on the new game application. The odds are definitely in favor of PokerStars, who encountered unfortunate results concerning its Spanish version of the website. Ourpastime.com remains at the forefront of new entertainment to bring the best. If you are as ecstatic as we are to be able to combine your passion for sports and poker, do not look any further because PokerStars has answered your wishes! After in-depth research to confirm this news, it is the true truth, PokerStars will be releasing its new sport betting application during the first trimester of 2015. The Amaya Gaming Group, which owns PokerStars, announced that this new sport betting application will be made available initially for all PokerStars users on selected market. PokerStars will progressively release its new product on several other platforms, including online and mobile versions. This announcement follows the decision made by PokerStars, in late December, regarding the release of new additional games on its website, such as: blackjack and casino roulette. The sport betting section will be added on the PokerStars 7 version, which is available for users to download for free. There is more to expect on behalf of PokerStars, since the operator seized the opportunity to make other announcements regarding future projects. Indeed, PokerStars declared that it was to release a mobile version of its newest software version PokerStars 7. Moreover, the operator indicated that a massive marketing campaign is scheduled in order to introduce the new product to the users. In addition, the Amaya Gaming group has announced that it was going to open a brand new poker room inside the famous Hotel City of Dreams located in the Philippines. PokerStars also mentioned that the revenues generated by its latest product will be directed towards investments intended to develop its land-based branches notably in London, Macao and Madrid. It goes without saying that PokerStars has set the bar extremely high for 2015. There is a lot to be expected by such a poker institution. The ourpastime.com team gathers a lot of poker and sports’ fans, and we have to admit that a combination of the two on a reliable and safe platform such as PokerStars’ is by far one of the best news of the year! It is still early to make any further comment on the quality of the product, but stay tuned for more on PokerStars on ourpastime.com!